The FIFA World Cup 2014 is breaking TV viewership records and has one of the most digitally engaged audiences worldwide with $5.7 billion expected to be spent on sponsorships and commercials. ESPN’s Bill Hofheimer says WatchESPN hit a record Thursday with 1.7 million “concurrent viewers” of the U.S.-Germany match. Not surprisingly, smartphones were forecasted to play a major role in the World Cup, both as a source of information and a way to stream matches. The opening match reached more than 1 million mobile connections and the Arena Corinthians in Sao Paulo has had more than 1 million mobile data communications and 135,000 mobile phone calls during that match, according to Oracle. An estimated 48 percent of soccer fans surveyed in 11 countries said they planned to use their smartphones to follow the World Cup. That comes after TV (63 percent) regarding mediums for keeping up with the World Cup, according to the “2014 World Cup: A Global Mobile Perspective” study by the Interactive Advertising Bureau. Of the 11 countries surveyed, 35 percent of respondents said they anticipated using smartphones as a second screen while watching game activities on TV. What’s more telling in the IAB research is the potential mobile ad engagement surrounding the World Cup. Here’s where the opportunity for brands lies. Data show 37 percent are clicking on a mobile ad at least once a day, but 50 percent of respondents who identified themselves as soccer fans were more likely to click on or engage with mobile ads once a day, the IAB survey showed. Moreover, a whopping 68 percent said they were willing to watch paid video game-related content on mobile devices. The massive number of football fans worldwide also means a massive amount of spending potential. The potential power of “adult major soccer fans” is $88 billion in new auto spending over the next year and $4.4 billion in weekly grocery purchases, according to Nielsen Scarborough. What kinds of mobile ads will work best around the World Cup? IAB’s study said creative, fun and entertaining ads are the most important at 33 percent followed by relevancy of product advertised at 17 percent. That's exactly what companies such as Microsoft are betting on. How about wagers among friends? The new Sporting Mouth app allows users to wager with buddies on the World Cup matches outcome, according to Marketing Week. There’s a brand tie-in. Pizza Express, Waterstone, M&S, Kitbag and Caffe Nero are offering free discounts to users to ramp up brand demand around the World Cup and more are slated to be added, Marketing Week reports. Microsoft is holding a Sporting Mouth Social Shootout contest around the World Cup for its Lumia smartphone. Fans test their knowledge to predict the outcomes of this summer’s big soccer games for a chance to win a Lumia 1520 and other prizes, according to the contest website. Contestants download the Sporting Mouth app, “challenge the Lumianary” to predict match outcomes and then get bonus points and a spot on the Social Shootout Leaderboard for sharing their results on Facebook. 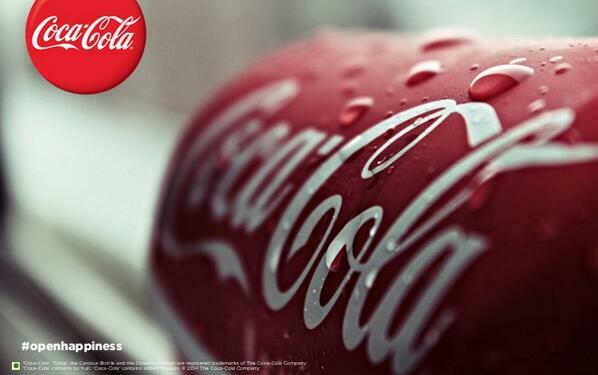 Coca-Cola rolled out plenty of mobile offerings for the 2014 World Cup. The beverage maker has 18 miniature collectible World Cup bottles that can be accessed using a Facebook app or “augmented reality browser,” according to Mobile Marketer. Coca-Cola on May 6 launched a mobile app for its sticker book World Cup program, — which it has used on the web for the past three World Cups — for the first time with the 2014 Brazil matches and supplements the physical sticker program, Mobile Marketer reports. The app allows for the trading and purchasing of the virtual stickers. Coca-Cola has also launched a mobile photo-sharing component called the Happiness Flag in which fan share photos that go onto the flag and is displayed at the opening match, according to Mobile Marketer. What can brands learn? Mobile presence around the World Cup is an opportunity to harness eyeballs around a highly engaging topic with a passionate audience. Marketing Profs recommends approaches such as using both mobile in-app ads and native ads before matches and tapping into the geolocation layer of mobile by targeting location of matches to boost local retail sales. ScribbleLive can help you reach your audience on several mediums at the same time. Be sure to follow Engage Magazine on Twitter to learn which brands are winning (and losing) on the world stage.